I'm a fan of Adidas shoes, not because of the brand value but because of the quality of shoes, I was about to buy Adidas shoes, but this time instead of searching for shoes in Amazon or myntra, I searched for Adidas shoes in Google. Adidas official website ranked up in the first position, upon visiting the site, i was shocked by the results. All shoes were priced 30-50% lesser than it's price in Amazon. 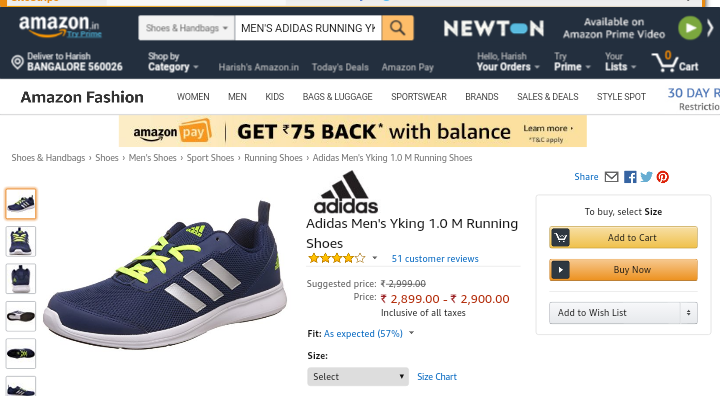 Adidas Yiking LO Running shoes were priced 1500 INR ( Approximately 23$) in Adidas store and 2900 INR ( Approximately 45$) in Amazon. Upon seeing this, the first thing that came to mind is to buy shoes from Adidas official site and register as seller and sell it on Amazon or other market places or my own online store and make money, but of course i was wrong because adidas had owned trademarks meaning which nobody else can sell adidas products in market places like Amazon. Now let's see the strategy used by Adidas in promoting their official store. SEO for all the sites, since it was fully official stores, the sites easily ranked for brand terms in all countries. 40-50% off on all items throughout the year. Selling the same products at the original price in all Popular Market places like Amazon. Using AdWords and Facebook marketing for promoting the stores. 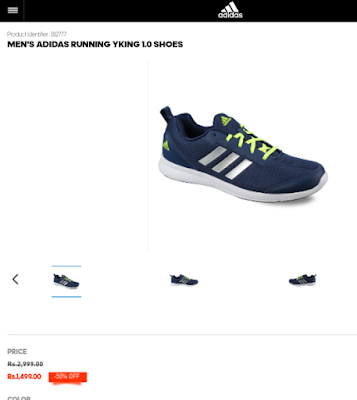 People visits adidas store site through search engine, ads and blogs. To compare the prices, they visit Amazon and other Market places. Since adidas has trademarked it's brand, no other seller can sell Adidas products and Adidas prices the products at original price. After comparing prices, people decides to buy in adidas than Amazon. When Adidas successfully gets enough user base, they stop selling on Amazon and other Market places and make their products exclusive in stores only. Adidas spends maximum money on ads and affiliate marketing to keep the sales constant. Prices back the products to original price. What if an user doesn't come to know of the adidas store existence? Adidas can easily reach their potential customers. As users already know about adidas, they can be easily targeted through Facebook. Even if they don't come to know of the official stores, Adidas fans will be buying through Amazon paying 50-60% more, so it's not a loss to Adidas.